It's A Dan's World: PLANET OF THE BEASTS: Is Kamandi Finally Set To Rise In 2015? PLANET OF THE BEASTS: Is Kamandi Finally Set To Rise In 2015? Not giving DC's Wednesday Comics an annual sequel has always grated with me. One of the best strips held inside the original run of the newspaper sized comic strip anthology was Kamandi, The Last Boy by Ryan Sook and Dave Gibbons. A strip that really re-highlighted what a breath of fresh air Kamandi was/is amongst the DC publishing library. Since then the Jack Kirby creation lost in a post-apocalyptic earth ruled by beasts, has been left to the odd spotlight (often in projects by writer Grant Morrison), but now that seems all set to change in 2015. Last September, artist Tom Fowler tweeted "Just had to turn down a KAMANDI book this morning and now I feel sick and alone and universe makes no sense and cry." Giving the sense that DC was already on the prowl for a distinctive artist to grab hold of Kirby's futuristic legacy. 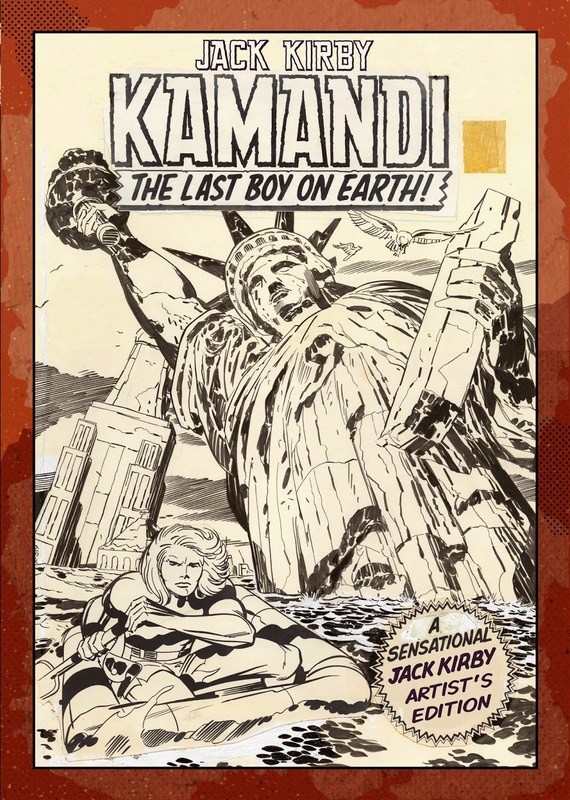 Now, announced for this May (almost as if to spin off an upcoming renewed DC Kamandi push), comes word IDW are releasing a Jack Kirby’s Artist’s Edition dedicated to the initial issues of the Kirby written and drawn series, so fans (like me and possibly you if you have read this far), can see all 160 pages at their original size! IDW's winning streak with their Artist's Edition series, has already included Kirby's New Gods and Mister Miracle. I have one and it literally wows me everytime I even glance at the cover. May being my birth month, it just might find itself with Kamandi sized company very soon (AND hopefully a post Convergence DC series to boot)!